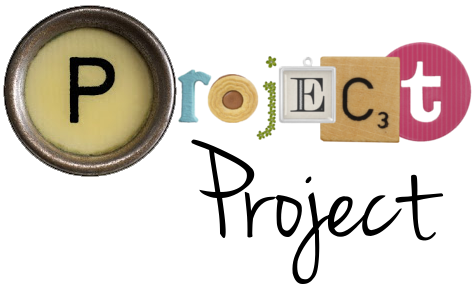 Project Project: Introducing... Project Service Project! What I want to tell you with this post, is that I am so lucky and so happy. I want to tell you this without waxing too poetic and without sounding like I'm trying to make you jealous of my super-shiny life. And I want to tell you that, in my book, great happiness comes with great responsibility. When I was pregnant with Espen, the thought kept returning to me that I was going to have everything I have ever wanted by my 30th birthday: a loving husband, a child, an education and a home of our own. OK, sure: There are a lot of things I would like on top of those, but nothing that I can't live a completely full and happy life without. A life without Nick or Espen, or without the knowledge I gained in school, or the sense of home we have created together, is no life for me. Everything else is just stuff. I'm also not unaware of the fact that these things that are so important to me have not only all happened in the past five years, but they're also all things that I seriously feared might not ever happen for me. So it is with a happy, grateful and humble heart I acknowledge all of the wonderful gifts I have been given. Because of thy great bounty, Lord each day I live. I’ll share thy love again according to thy word. Here's where my new project comes in! Because I have been given much, I too must give - and that's exactly what I intend to do: Once a month, for all of my 30th year, I am going to have a little service project. It doesn't have to be big, it doesn't have to be small, it just has to be a way for me to give of myself. I will be starting my first project in August, which is coming up fast. Please feel free to make suggestions of ways I can serve! Great idea! I might have to steal it. Would that negate the service part for me? Hmmm. Visit the lonely. I've just seen an item on the news about a 90 year-old man whose wife has been asmitted to a old peoples home, and there's no room for him. They've been together for 70 years and the only person he sees is the woman who delivers his boil-in-a-bag dinner. Heartbreaking! Anne's suggestion was what I was going to suggest. I've recently been able to visit a blind widow in a nursing home a bunch (she's my visiting teachee now), and this is WAAAAAAYYYYY out of my comfort zone, but SOOOOOOOO rewarding. So my suggestion is to visit the lonely/elderly especially. Another suggestion: Knit a blanket for someone who needs it, like a homeless shelter, or battered woman's shelter. You can use your talents to serve! I'm excited for this Project! Go super-out-of-your-way for your VT-ees. Check up on them once a week, just to drop by and see how they are. Perhaps invite them to a "girls night out" and go watch a play at a (possibly outdoor) theater, your treat. Make a freezer dinner for everyone you know that is in their last 6 weeks or so of pregnancy. Sometimes they come early! Make some home-made ice cream (or other yummies) and ask your Bishop who would be a good family to share it with. Sometimes a treat can give a real boost people in need, as it's often very rare for them. Cross-stitch (not too hard to learn, if needed) a temple where someone was married, frame it, and give it to them. Maybe add initials or something cute. Probably for a family member or VT-ee. Offer to teach something you're competent in at a R.S. activity or somewhere else useful. Volunteer some time at a school. Color some happy pictures for small children. They often make pictures for us and are so proud of them, but they often love getting them in return. Particularly a child who you think might just benefit from the emotional boost of love and thought that it represents. Anyway, there's a few. Love your idea! We sure miss seeing you two! Wow, such great suggestions from people! I love your new project!